South Oldham Fire Department and all other Fire Departments in Oldham County are currently seeking Volunteer Firefighter Recruits. If you live in Oldham County, KY and want to make a difference in your community we welcome you to join our team. 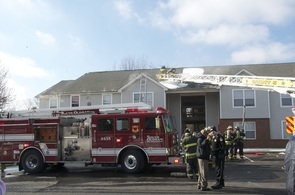 South Oldham Fire Department from Mike Vance on Vimeo. Join the South Oldham Fire Department! 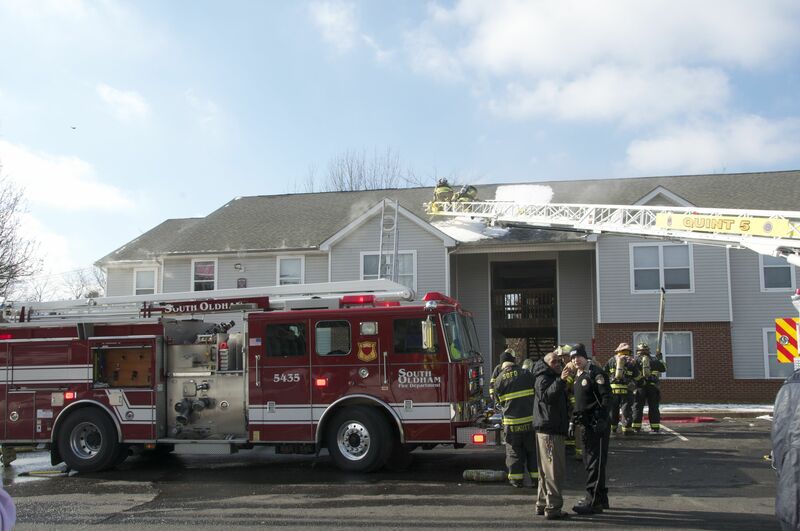 The South Oldham Fire Department (SOFD) is always seeking responsible men and women who are willing and wanting to serve this Community, in which they live and/or work. To be eligible for a volunteer firefighters position, in the state of Kentucky, you must be 18 years of age. We do require that the individual have a valid Kentucky drivers license and also have a safe driving record. A police records check will be run on all new applicants before they are considered for membership. Print off the 3 forms on the right, fill out and bring to the station at: 6310 Old La Grange Rd. If you have any questions please call - 241-8992. If you are applying to join SOFD you will need to download and complete the application packet. Click the link below. Thinking about joining? Volunteer firefighter FAQ . . .
Q: How many training classes am I expected to attend as a volunteer recruit firefighter ? A: During your recruit class you will be expected to attend all training's. Your initial training is very important as we teach you the fundamentals of firefighting. Any absences will require a valid excuse with appropriate documentation. Any recruit classes missed must be made up at a later date before graduation. If several recruit class training's are missed then the member may be ejected from the class. Q: How many training classes will I be expected to attend as a volunteer firefighter? A: Training is vital to success of this organization. Active members are expected to participate in a minimum of 60% of all scheduled training. South Oldham Fire Department’s regularly scheduled training is on Monday evenings at the fire station starting at 19:00 (7:00 PM) hours. If you miss Monday evening training due to work, family, or other events, you can attend one of our training's on Tuesdays at 13:00 or Wednesdays at 08:00. South Oldham Fire Department understands that sometimes your training attendance may vary due to family events, injury / illness, or work. If your attendance does not meet the minimum requirements we will work with you on a case-by-case basis to determine the issue and resolve the problem. 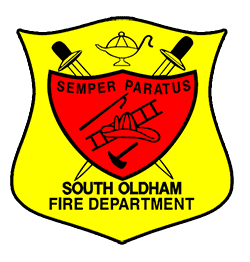 As a member of South Oldham Fire Department you have the opportunity to attend regional and state fire schools which will allow you to obtain specialized training in several categories. These classes are usually offered on a Saturday and Sunday and some will run throughout the week during days or evenings. As a volunteer firefighter you will not always be required to attend fire schools, participation is on a voluntary basis, except for when you first join and are required to take some of these classes as part of your recruit training. Q: How many emergency calls will I be I expected to respond to as a volunteer? A: South Oldham Fire Department requires active members to participate in 25% of all fire runs. South Oldham Fire Department understands that as a volunteer firefighter you may not always be available to make fire runs. This could be due to many reasons such as family events, illness / injury or due to your full-time job, especially if your job requires you to travel. Because of this we understand that sometimes your attendance level may fluctuate and we will work with you on a case-by-case basis to address any attendance issues. Q: I am thinking of changing careers and I’m interested in becoming a full-time firefighter. How will becoming a volunteer help me? A: Volunteering will help you a lot! As a volunteer firefighter you will gain valuable experience and knowledge about firefighting through training and responding to emergency calls. South Oldham Fire Department will provide you with training and other opportunities to earn state and national certifications as a firefighter. We have had several of our volunteers make the transition to a career firefighter because of the training and experience they have received with South Oldham Fire Department. Q: What will I need to purchase in order to become a volunteer firefighter? A: South Oldham Fire Department places your safety as its first and highest priority. The department, therefore, provides your turnout (fire fighting) gear, t-shirts, sweatshirts, uniform, and pager. Pre-determined levels of training and experience are required prior to issue.